Reds: Cabernet Sauvignon, Merlot, Cabernet Franc, Syrah, Mourvèdre, Tempranillo, Grenache, Carignan, Cinsault. 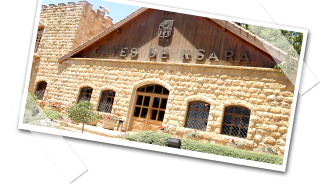 Château Ksara is the oldest winery in Lebanon. 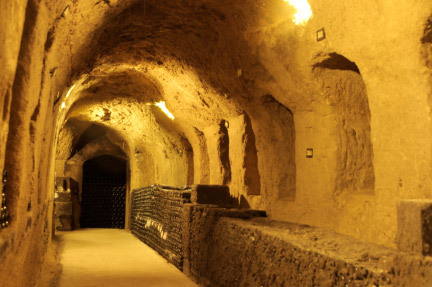 Although a non-commercial venture when founded by Jesuit monks in 1857 (the reason Domaine des Tourelles can stake claim to the title ‘oldest commercial winery’ in Lebanon), their wine became a highly sought after staple (and thereby a financial success) during French governance between the end of the First World War and the country’s independence in 1942. 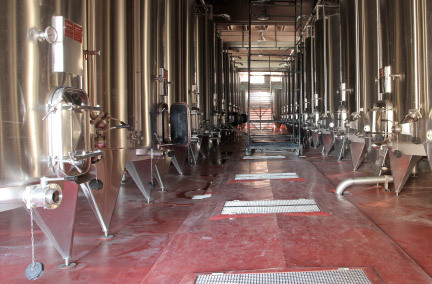 The property makes almost half of all Lebanese wine (2.8 million of circa 6 million bottles) from 423 hectares of vines, of which 30% is owned by the winery and the rest bought from growers under contract. 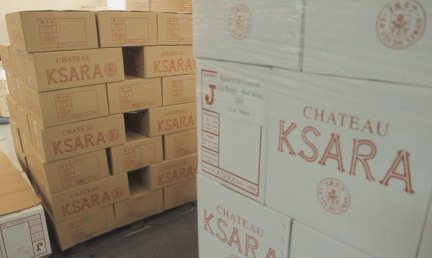 It also has one of the widest ranges of wines, with 14 labels, and is the best known brand in Lebanon (though Château Musar can lay claim to being the best internationally recognised name, having focused on exports at the onset of the civil war). 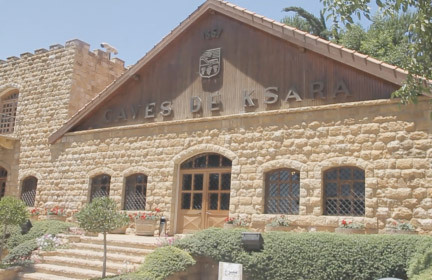 Château Ksara’s Roman caves are a must-see for any visitor to the Bekaa. 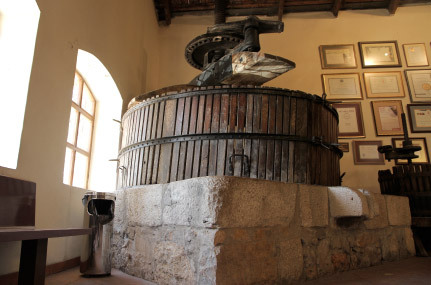 A unique and worthwhile addition to any tour, they weren’t discovered until 1898 and are now used for ageing a proportion of the winery’s output. 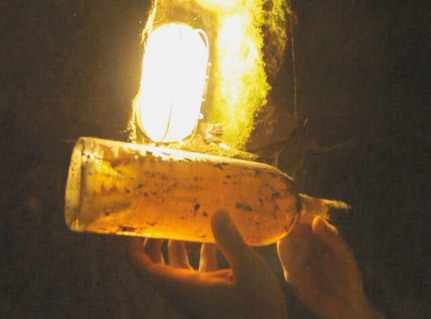 More importantly, they serve as home for the company’s 71,000-bottle collection of museum vintages. A fresh, mouth filling rosé with berry notes, and gentle spice lending a savoury note. Crunchy apple and raspberry fruits with on the palate with a herbal edge to the finish. Simpler rosé with a hint more residual sugar, but retaining crispness. Berry fruits and bubble-gum in style. Pleasant. Well made, clean wine with a fair body of white fruits, fresh apple and crunchy nectarine. Ripe peach and a touch of oak lead to a wine of prominent Chardonnay character tempered with Sauvignon derived freshness. Good balance, plenty of character. Ripe, upfront nectarine nose with a whiff of oak secondary. Weighty but not unbalanced. Palate a little simple aromatically but has the potential to open further. Good clean red, unremarkable but not faulty. Good quality, chunky red with smoky plum, spice and animal aromatics on the nose and a pleasing well-balanced palate. A little muted on the nose, though hints of plum fruits, blackberry and angelica spice. Still a bit grippy on the palate, though good weight and cool edge. Needs a couple of years. Quite big, but aromatically simple wine. Blackberry fruits and red pepper. A pleasant and well balanced and sensual palate and a good wine structurally, but lacking any great depth of aromatic character. A serious wine of chunky damson and black cherry fruits vying with game and bonfire smoke on the nose. A powerful palate of fine ripe tannins, sweet jammy fruits and hints of cardamom and bell pepper. 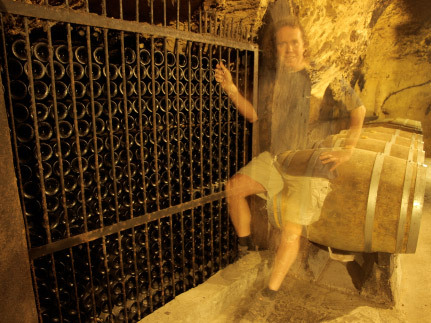 An intriguing wine and a keeper. An elegant and more subtle wine than Cuvée du Troisième Millenaire, but with greater depth of fine tannin and more overall body. Sweet cherry, blackcurrant and red pepper aromas with a meaty hint. 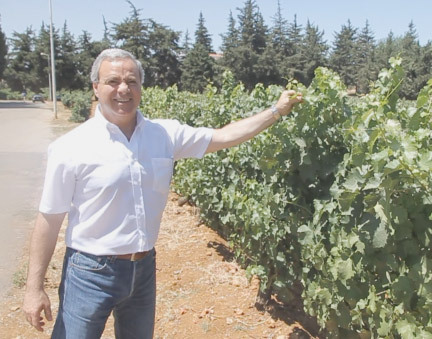 Elie Maamari – quizzed by Swedish wine correspondents. Me with too much time on my hands!